These women have fought, organized and protested the inequality they saw around them. These posters celebrate how they helped to create a better future. 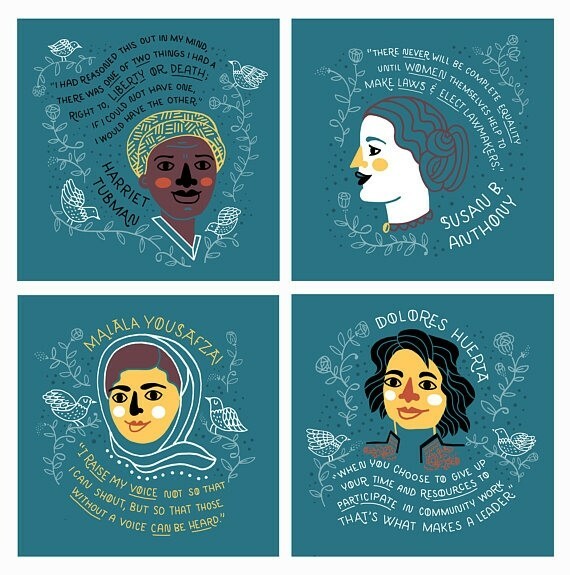 With this set, you can choose four 8X8 posters, each featuring an inspiring woman activist. You can choose any four of Rosa Parks; Mary Brave Bird; Shirley Chisholm; Dolores Huerta; Susan B. Anthony; Harriet Tubman; Eleanor Roosevelt; and Malala Yousafzai. Each poster is printed on high-quality paper with archival inks. 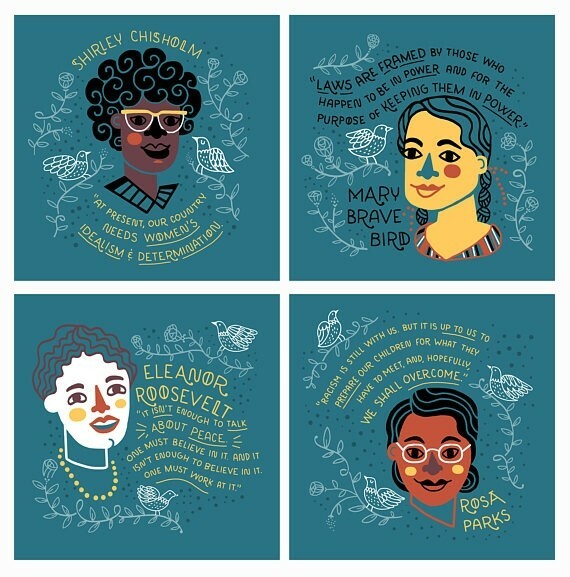 For more artwork from the author / illustrator of Women in Science and Women in Sports, visit our Rachel Ignotofsky Collection.